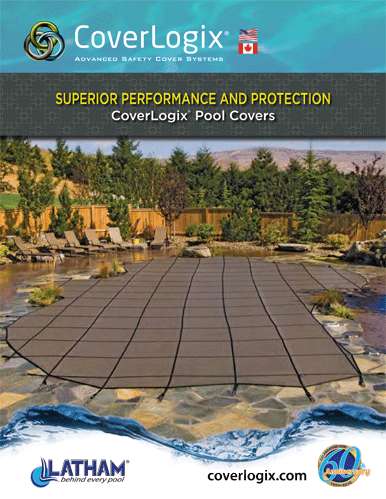 Coverlogix Safety Covers – Made Locally by Latham Manufacturing! ALL SAFETY COVERS ON SALE – 20% OFF! We can replace your worn out cover with a new one with matching straps so you don’t have to drill new holes! Call for details. 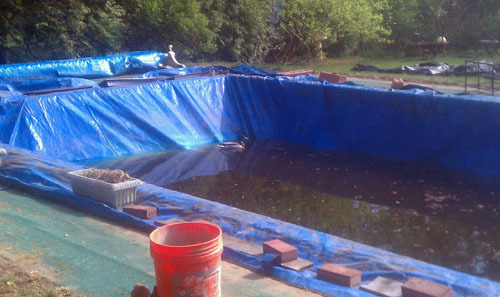 Tired of opening your pool with a swamp on it? Tired of replacing water bags and ripped covers very year? Tired of looking at a mess? Than it’s time to upgrade to a safety cover. Safety covers are held down taught with strong springs right to your deck. Leaves blow across and the water runs through it, leaving absolutely no mess! Looks great, provides added safety, and makes for an easy opening. We have several styles to choose from including both mesh and solid models. Safety covers are now very affordable. 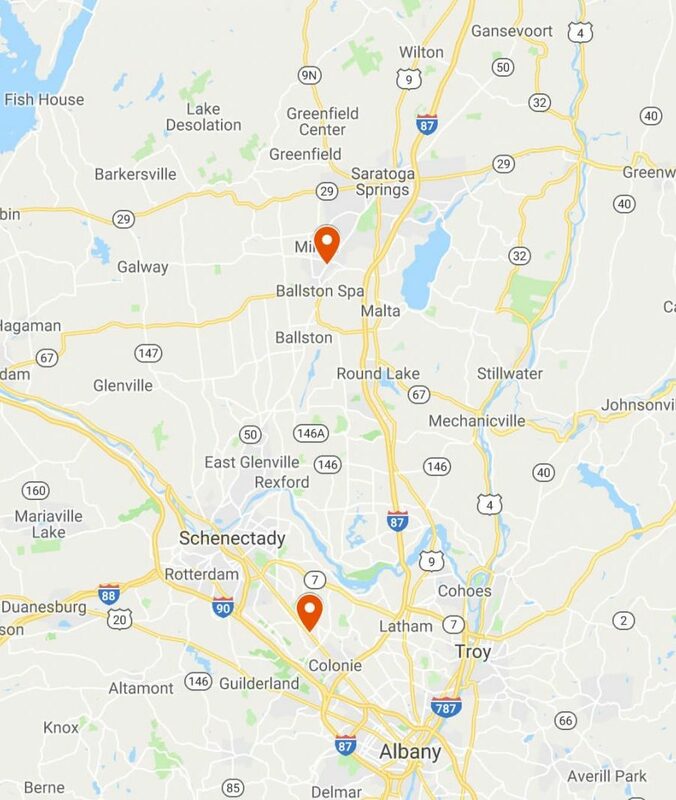 Give us a call and we can give you a quote right over the phone. Just have the measurements and shape of your pool available. We have the best prices in town with the highest quality. Don’t be fooled by poor quality and inexpensive models on the internet. We have those available also if you want. We will beat anyone’s price! 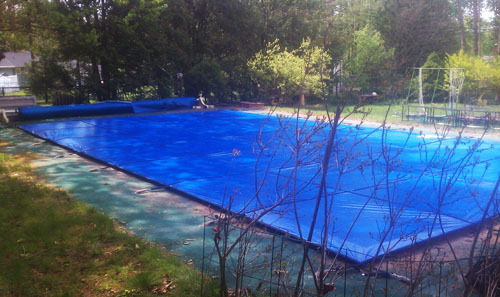 Click here to request a quote on a new pool safety cover!